I found this cute little card from dropping by Neal's Yard Remedies and kept it for a while. I'm currently spring cleaning my apartment so it'll be easier to move when the time is right. Getting rid of the things that I don't need and so on (you know). I'll post this up here so I can remember to reference it when needed. It may also be useful for my readers. Used in Acne Products, DNA Damage. Used as foam booster and dermatitis. Preservatives, Cancer, chest pain, insomnia. Used in Anti Bacterial ingredients like Rruckisabm Emulsifiers, PEGs and SLS, Cancer. 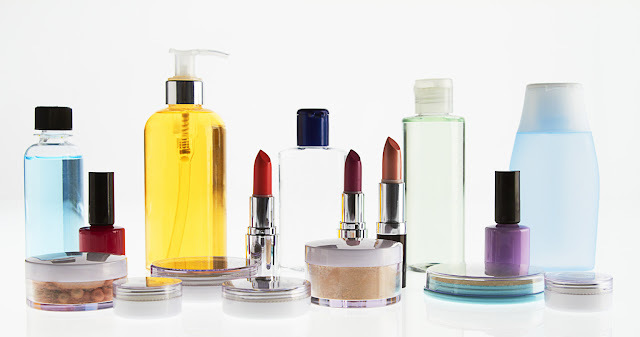 Preservatives that are found in deodorant and most skin care products. Hormone Imbalance. Synthetic colors from tar and heavy metals, skin irritation. 7. PhenoxyethanolCosmetic applied to hands, easily ingested. Toxic to infants, respiratory depression. Caution should be exercised (source wikipedia). 8. SLES (Sodium Laureth Sulfate) & SLS Sodium Lauryl Sulfate (SLS), Benzalkonium chloride.Used in car washes, garage floor cleaner. Eye damage, depression, diarrhea, skin irritation. 9. Sunscreen Chemicals, Avobenzone, benzphenone, ethoxycinnamate, PABA.DNA damage and lead to cancer. Petroleum Plastics, brain, liver and kidney abnormalities. Personal care, baby care, sunscreens, cancer. Damage to liver/kidneys, birth defects, decreased sperm count. Synthetic antibacterial, causing cancer in humans. As long as there is the word 'Parfum', it is considered chemical. Allergy and Asthmatic. i aware of all these toxic ingredients since years, that's why i switch to natural skincare like living nature, suki, badger. I've tried Living Nature few years ago and then switch back to commercial skincare because it is really "hard to use" + expensive and i am always wanted to try different skincare products. Recently I start having serious skin problem and i am worried of the toxic may make my eczema & rashes more serious so I bought suki Care Active Trial Kit For Clarity. I'd like suki Exfoliate Foaming Cleanser - my face look smooth and even after 1st use. it is suki star product. also, the balancing face oil, i use it as my moisturizer. sad case that suki skincare doesn't sell in Malaysia, i purchase my trial kit from Pure Tincture Singapore.